At Medinet Family Care Clinic, we provide immigration exams for those who are in the process of obtaining their green card or citizenship. These exams include all of the services we provide. During the examination, our highly trained physicians will conduct various health checks to ensure the patient is ready for the next steps required to receive a green card or citizenship. We understand how important it is for those who are not citizens or green card holders to receive immigration exams. 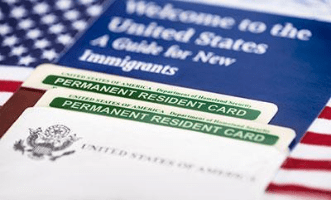 These exams are necessary in order to receive citizenship or a green card. Our office is authorized by the United States Citizenship and Immigration Services to conduct these exams. Our Houston physicians will conduct a thorough examination to check your health and for various types of diseases, such as DT, DTP, DTaP, Td, Tdap, OPV, IPV, MMR, Hib, hepatitis A, hepatitis B, varicella, pneumococcal influenza, rotavirus and meningococcal disease. Our doctors will conduct tests for tuberculosis, which is conducted in two separate sessions. After the first test, the patient will need to return to our medical clinic after two or three days to discover the results. Our medical staff will inform you of when to return. Another test is for syphilis, which requires a blood test. The reason these two tests—tuberculosis and syphilis—are necessary is because these are communicable diseases and can very easily be spread. Our doctors will also check your records to see if you have not received the proper and necessary vaccinations. If there are missing vaccinations, our doctors will conduct these for you or your family members. If you are in need of vaccinations or blood tests for your immigration examination, then contact the Medinet Family Care Clinic in south Houston. Our medical staff is standing by to provide you with exceptional care and provide answers to any questions you may have.